Praise be! The Janelle Monáe/Electric Lady promo tour continues! This morning, the talented, stunning android made an appearance on The Today Show where she performed another show-stopping rendition of "Dance Apocolyptic," but not before commenting on how she hopes to be a positive influence on other women. 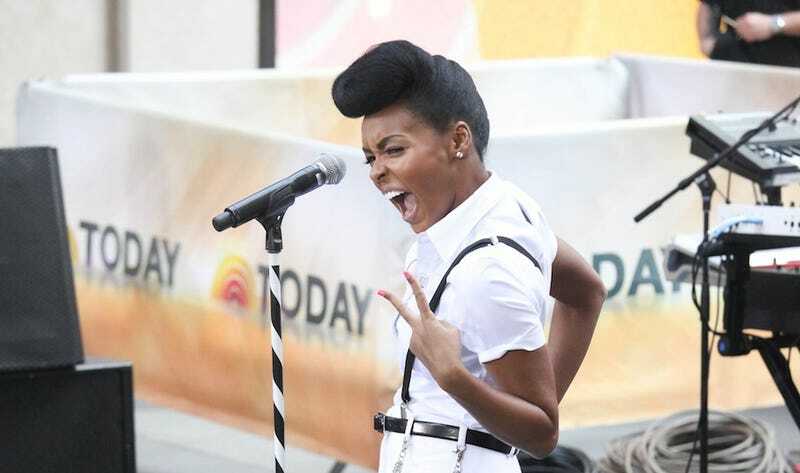 "I wanted to focus on creating a new breed," Monáe told Savannah Guthrie. "A new 21st century woman someone who is not defined by her skin color or hair texture but by what she does for the community, how she goes into the community and nurtures the next generation." She then shouted, "I am the Electric Lady and I AM your morning coffee!" and proceeded to bring the house down. And just because I haven't been able to stop listening to her new album since downloading it two days ago, here's her follow-up interview with Hoda and Kathie Lee. CANNOT. GET. ENOUGH.